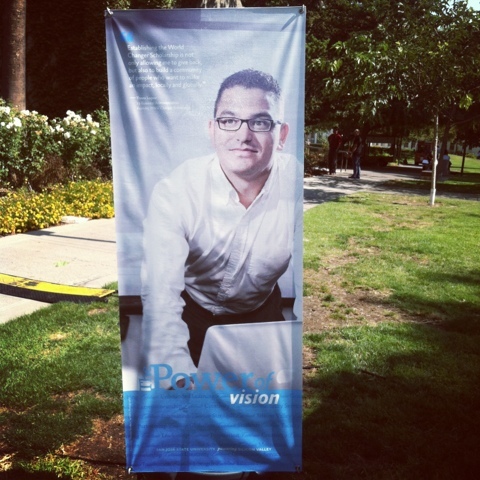 The ad campaign I shot for SJSU this summer is finally printed and on display. The portraits reflect the impact of $208,000,000 raised by SJSU supporters. Most people have to pay off their college loans as soon as they get out of school and Travis Lopez (pictured here) created a scholarship fund as a senior in his under grad schooling. Incredibly smart guy and runs a start up.